Product prices and availability are accurate as of 2019-04-15 00:06:10 EDT and are subject to change. Any price and availability information displayed on http://www.amazon.com/ at the time of purchase will apply to the purchase of this product. All our plants are organically grown. 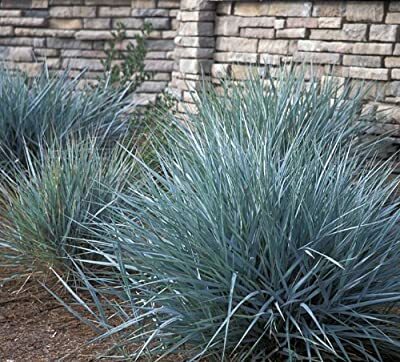 Powder Blue Ornamental Grass is a different ground cover grows in grassy, tuft-like clumps 6-10" high. Spectacular, semi-evergreen foliage. Ideal for borders. Blooms start in June or early July. Plant in full to partial sun. Drought resistant. Perennial in zones 4-9.